For most consumers, the insistent popups and checkout spiels touting a store’s credit card are mostly just annoying, with the occasional good discount that makes signing up worthwhile. When you have bad credit, however, store credit card offers can seem like a great deal; you can earn some rewards or take advantage of special financing, all while (hopefully) building credit. Although store cards aren’t perfect — most store cards are closed-loop, and many have super high APRs — they typically don’t charge annual fees and they can sometimes be easier to get than other no-fee cards when you have bad credit. Even store cards aren’t guaranteed to accept everyone, however, so apply with caution. Before you start contemplating which store card to apply for first, consider your options beyond the retail world. Just because you have bad credit doesn’t mean you’re stuck with store cards that can only be used in one place. Secured credit cards can be great open-loop tools for building credit, and many can be found without fees. Even if the idea of a deposit scares you off, you have options for an unsecured credit card with bad credit. The options below have flexible credit requirements and won’t make you put down a deposit to open your account. Keep in mind that subprime unsecured cards do tend to charge fees, so read the disclaimers carefully before applying. Although not the most affordable card out there, this card is an open-loop, unsecured credit card available to a range of credit types. The fees are fairly high, as is the APR, so this is not a long-term keeper; once you’re eligible for a better card, cancel this one and move on. The cost of this card will depend on your individual credit risk, with the lowest-risk applicants receiving the lowest fees. All approved cardholders will receive the same competitive APR, but a delinquent payment could trigger a much higher penalty APR. This card has a variable annual fee that will depend on the applicant’s credit profile. The card doesn’t charge any processing or program fees, and the regular APR is fairly competitive, especially for a subprime card. Be careful not to make a late payment, however, as the card will charge a late fee and, if the payment is late enough, a penalty APR. Consumers spent more than $517 billion shopping online in 2018, a figure expected to keep growing. Online shopping has become a normal, everyday activity for millions of Americans, to the point that we now have a slew of companies — from banks to major retailers — that operate almost entirely online. If you’re looking to build credit while shopping at your favorite online retailer, a store credit card may do the trick. While several online-only retailers offer store credit cards, only a few accept bad-credit applicants. Once a home catalog company, Fingerhut is now a large online retailer that specializes in offering closed-loop credit lines to shoppers with poor credit. Fingerhut.com has thousands of items from hundreds of popular brands like Samsung and KitchenAid. Applicants who don’t qualify for a WebBank/Fingerhut Advantage Credit Account will be automatically evaluated for a WebBank/Fingerhut FreshStart Installment Loan (see Terms and Conditions). 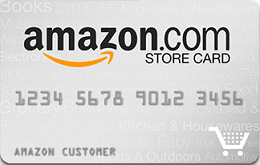 The Amazon.com Store Card is most useful for cardholders who are also Prime members, as they’ll get 5% back on Amazon.com purchases. Some applicants may be offered a secured version of this card. All cardholders have access to special financing on purchases of $149 or more. The special financing comes with deferred interest, however, so be sure to pay off your financed purchases entirely before the end of the promotional period so you aren’t charged interest on the full purchase. The Overstock Store Credit Card doesn’t have any sort of purchase rewards or consistent discount, making its only real benefit the special financing offers. The length of the special financing offer will be based on the size of your purchase. Although special financing can be good for large purchases, deferred interest offers mean you will be charged interest on the entire amount of your purchase if any of it remains past the end of the terms. Pay off your full purchase before your financing expires to avoid being charged interest. Department store sales have seen a consistent decline over the last five years. Despite this trend, the monolithic department store is still a cornerstone of the retail world for many people, and the sheer abundance of goods in most department stores makes them a go-to source of everything from clothing to housewares. Most major department stores have their own store credit cards, the majority of which offer purchase rewards. Even those without rewards tend to offer exclusive discounts and coupons, making them worthwhile for folks who shop those brands frequently. Department store cards seem to be some of the easiest store cards to get with bad credit. 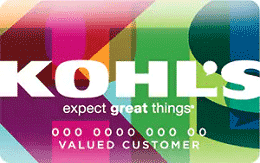 The Kohl’s Charge Card doesn’t provide purchase rewards, but it does provide exclusive cardholder offers and discounts each month that can be used in-store or online. Users also receive a special gift on their cardholder anniversary each year. 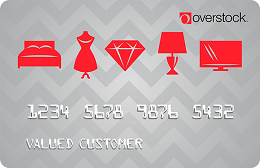 Cardholders who spend at least $600 with their card in a calendar year get upgraded to Most Valued Customer status. Upgraded status unlocks a bonus birthday gift and access to free shipping events each month. 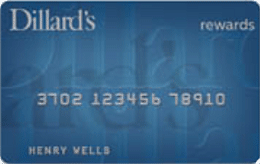 The Dillard’s Card has modest rewards, providing 2X points per dollar on card purchases made at Dillard’s. Choose between a $10 Rewards Certificate good for a future purchase or a 10%-Off Shopping Pass good on all of your purchases for one calendar day. In addition to the purchase rewards, card users are eligible to receive exclusive shopping events and offers, but the card has no other benefits. Making purchases of $2,000 or more during a calendar year can give you Elite status. The JCPenney Credit Card isn’t the highest-earning card on the list — but it does have rewards. 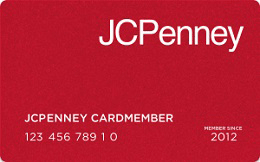 You’ll earn 1X point per dollar spent on your card, with a $10 JCPenney Rewards certificate for every 200 points you earn. New cardholders will get 20% off select purchases. Users can also receive special financing on qualifying large purchases, including furniture and fine jewelry. Financing will come with deferred interest that means you need to pay off your entire purchase before the terms expire to avoid interest. Your clothes can say a lot about you. They can impact how you’re viewed, how you feel, and, according to some studies, even how you perform at work. But a new wardrobe doesn’t come cheap, especially if you’re looking to dress for success for a new job or professional event. Almost all of the chain clothing stores offer a branded store credit card, and you can earn purchase rewards with most of them. Some clothing store cards will be easier to get than others, however, with those cards associated with more affordable stores often being easier to get than cards for pricier retailers. 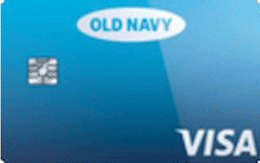 The Old Navy Credit Card earns users 5X points per dollar on purchases made with Gap Inc. brands, including Old Navy, Gap, Banana Republic, and Athleta. Accruing 500 points unlocks a $5 Reward to be used on a future brand purchase. Approved applicants will get 20% off their first card purchase. Cardholders will also receive exclusive offers and discounts, as well as having pre-sale access to select sales throughout the year. 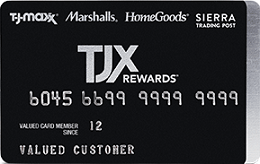 The TJX Rewards Credit Card gives cardholders 5% back in rewards on every card purchase at any TJX-brand store, including T.J.Maxx, Marshalls, HomeGoods, Sierra Trading Post, and Homesense. Plus, get 10% off your first card purchase. For every 1,000 points you earn, you’ll be issued a $10 Rewards Certificate that can be used toward a future purchase in-store or online. You’ll also receive invitations to exclusive shopping events, as well as being eligible for Arrival Alerts by email. 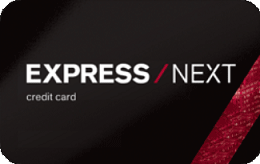 The EXPRESS NEXT Credit Card lets cardholders earn 20 points for every dollar spent on eligible EXPRESS purchases. Every $125 spend — 2,500 points — unlocks a $10 rewards that can be used in-store or online. If you’re a big EXPRESS spender or just updating your work wardrobe, racking up 7,500 points in the program earning period will earn you A-List Status. This unlocks free standard shipping for online orders, as well as boosting your reward value up to $15 per 2,500 points. Big-box retailers have long been part of our everyday lives, especially the super-sized super stores that double as grocery markets. And while plenty of analysts are afraid that the giant known as Amazon is slowly killing off many big-box stores, the one-stop-shop retailers seem to be hanging in there. Store cards from big-box retailers, particular those versatile retailers like Target and Walmart, can be handy for making those everyday purchases you need while also earning rewards and building credit. Even better, most common big-box stores make their branded credit cards fairly accessible (though there are no guarantees, of course). The Target REDcard does not have the typical rewards; instead, you’ll get 5% off your eligible purchases right at the register (or online checkout). This discount stacks with manufacturing and store coupons, too. Prescriptions and over-the-counter pharmacy items are excluded from the 5% cardholder discounts. Gift cards, select restaurant merchants, and Target Optical™ eye exams are also not eligible for the discount. 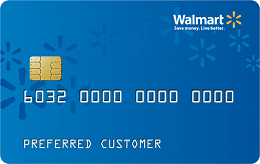 The Walmart Credit Card allows cardholders to earn up to 3% back on Walmart.com purchases, 2% back on Walmart and Murphy USA fuel purchases, and 1% cash back on other Walmart purchases. Cash back is redeemed as a statement credit. Although a few reports of low-scoring applicants being approved can be found, your experience will vary. Remember that special financing offers tend to come with deferred interest, so pay off your full amount before the promotional period ends to avoid being charged interest. 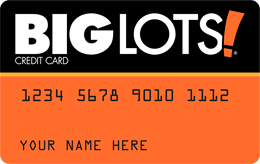 The Big Lots Credit Card won’t earn you any rewards, but it can be a convenient way to pay for your in-store Big Lots purchases. Plus, receive special six- or 12-month financing on eligible purchases. Keep in mind that the special financing offered to cardholders includes deferred interest, which means you’ll be charged interest on the entire amount — at a very high 29.99% rate — if you don’t pay off the entire purchase amount before the financing terms expire. Of all the credit cards we have today, store credit cards may be the most true to the origins of the modern consumer card, which arguably traces its roots back to the credit accounts extended to customers by shopkeepers for centuries. Contemporary store credit cards are usually very similar to their ancestors, typically consisting of closed-loop credit lines usable for purchases with a specific brand. This means you can only use a closed-loop store credit card — one without a network logo — to make purchases with that brand. Where our store cards vary is that they also tend to add extra perks, like purchase rewards, special financing deals, and exclusive offers. For frequent shoppers of a given brand, these extras can mean a lot of value, particularly the programs that offer high rewards rates (some offer 5% or more). While purchase rewards from store cards can be valuable, they do often have one major drawback: You can only use them on branded purchases. For example, if you have a My Best Buy Credit Card, the rewards you earn on your Best Buy purchases can only be redeemed toward a future Best Buy purchase. Some of the biggest retailers are now starting to offer branded store cards that are open-loop, meaning they’re associated with a processing network — Visa, Mastercard, Discover, or American Express — and can be used to make card purchases anywhere that network is accepted. 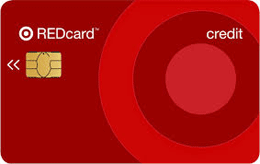 However, the open-loop cards are considered to be harder to qualify for than the closed-loop versions. And, while many of these cards allow you to earn rewards on non-brand purchases, those rewards are subject to the same limitations as the rewards earned by closed-loop cards, so they can typically only be used toward branded purchases. Are Store Cards Good for Building Credit? When it comes to building credit, the same general caveat applies to store card as to any other credit card, in that store cards can be good tools for building credit — so long as you use them responsibly. Store credit cards are credit lines like any other credit card, and, as such, payment history and utilization should be reported to the three major credit bureaus like any other credit line. So, store cards can typically be used to establish your credit profile and to build your credit history provided you use them regularly. The main things to look out for with store cards — and all credit cards, really — is the high APRs. 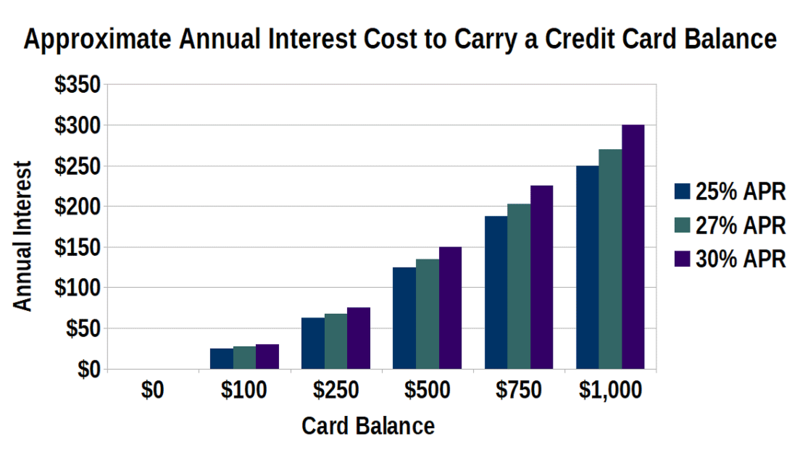 Many store credit cards will charge interest rates in the 25%-plus range, which is similar to subprime credit cards and can be very expensive, very quickly. Ideally, you should never carry a balance on a store credit card, with the possible exception of cards that offer special financing. That said, even the special financing deals can have issuers (see the deferred interest section below). Of course, this can be a challenge with any credit card — but particularly with store cards. That’s because those handy rewards and discounts can actually cause you to spend more than you intended to spend. Moreover, just having a store credit card can motivate you to shop more, so try to only use your store cards when you have specific purchases in mind. Another thing to understand is that because store cards are credit lines, applying for a store credit card will usually mean a hard credit inquiry on your reports. One or two hard inquiries aren’t the end of the world — or your credit scores — but a number of recent hard inquiries can have negative results. You don’t need to get a store card for every store you’ve ever shopped at, or even every store you shop at frequently. Be sure you’ve crunched the numbers to see if the card will actually offer you any benefits — and considered any potential consequences — before you apply for a new store credit card. What Is Deferred Interest Financing? One of the most popular features of many store credit cards is the ability to take advantage of special financing offers for large purchases. These offers typically provide 0% APR on specific purchases for six months or more, which can be great for anything that you may need a little time to pay off. Most special financing offers from store credit cards will have minimum purchases limits — $250 is common — and the duration of the promotional period will usually depend on the size or type of purchase. For instance, a $250 purchase may receive six-month financing, while a $1,500 purchase could qualify for 12-month financing. While these deals can be handy, don’t ever confuse a store card’s special financing offer with the introductory 0% APR offers provided by many open-loop bank credit cards. The two types of interest rate deals vary in one important (and potentially expensive) way: deferred interest. Watch out for deferred interest, which is charged by many store cards, including the Amazon.com Store Card. The vast majority of store credit cards that provide special financing aren’t actually waiving your interest — they’re deferring your interest. The interest is only waived on a special financing offer if you pay off the full purchase within the promotional period. If, on the other hand, you have any portion of your financed balance leftover once your special financing expires, then the deferred interest becomes owed interest. In other words, if you don’t pay off every cent of your financing purchase before the end of the special financing period, you’ll be charged interest on the entire amount from the date you made the purchase. So, if you use a special financing offer through a store, be absolutely positive you can pay it off before the special financing expires. There’s an old saying that goes, “hunger makes the best sauce.” The idea is that when you’re really hungry, things tend to taste better than they do when you’re not hungry. Having bad credit is a bit like being hungry — things that wouldn’t be appealing if you had better credit start to look like a great idea. Things like store credit cards. Sure, some store cards can offer a lot of benefits, but, overall, store cards are high-interest credit lines with a lot of restrictions. But, when you have bad credit and your options are limited, store cards can seem like an ideal tool for building credit at your favorite stores. The bottom line is, yes, store credit cards can be used to build credit, and, when used wisely, they can even be decent savings tools. However, be smart about which store cards you get, and how many store cards you wind up with in your wallet.